The Happold Brilliant Award recognises outstanding teaching in the field of building services engineering. Administered by the Chartered Institution of Building Services Engineers (CIBSE), it is sponsored by the Happold Trust, a charity set up to promote education, training and research in the construction industry fields of engineering, design, technology and architecture. The award judges said: "The Department has a wide suite of building service engineering courses available and continues to offer courses at every stage and to every level, allowing students to step off at any point or progress further if they choose. "This large offering and the option to follow different pathways has been commended and shows a great example of opening up education to all. "The Department is well supported in the region and has strong links to industry through the Industrial Advisory Board, which continues to strengthen the courses through its input." 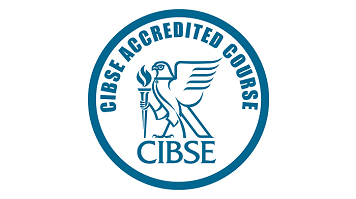 LSBU's Department of Urban Engineering will be presented with an engraved crystal chalice and a £1,000 cheque at the CIBSE annual Presidential Awards Dinner on 10 October 2014. Ted Happold was founding partner of multi-disciplinary consulting engineers Buro Happold, and was responsible for establishing environmental and building services engineering within the practice. Happold was dedicated to raising awareness of the contribution that a quality education can bring to the work, values and ideas of the engineers of the future. "On behalf of the department and LSBU as a whole, I am delighted to learn this fantastic news and accept the award," says David Tann, Head of Urban Engineering at the School of Built Environment and Architecture. "It is an excellent recognition of the hard work and outstanding care to our students by all my colleagues in the building services engineering subject area and throughout the University. We look forward to enhancing our excellent collaboration with all our stakeholders in the built environment industry." Learn more about studying building services engineering at LSBU via our Course Finder.